A must-have app for any gamer. 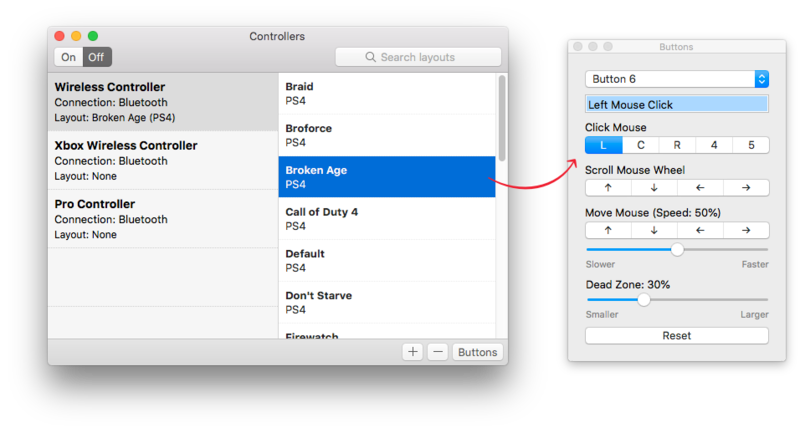 You'll be able to use console controllers to play almost any game on Mac, even games that don't have built-in support for controllers. 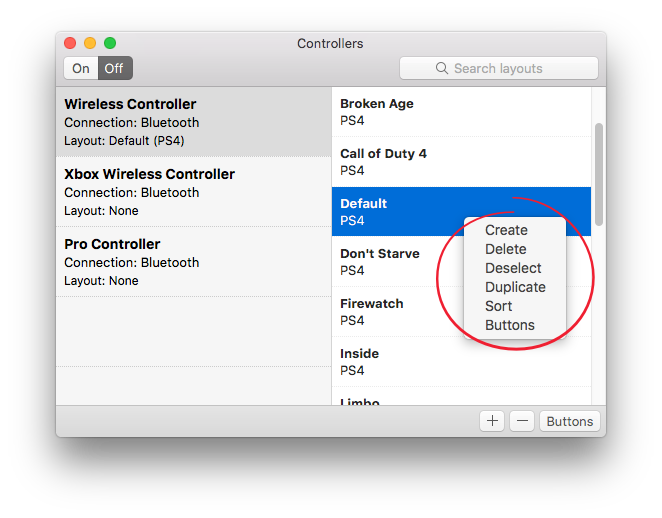 You can set any button type to any control type. 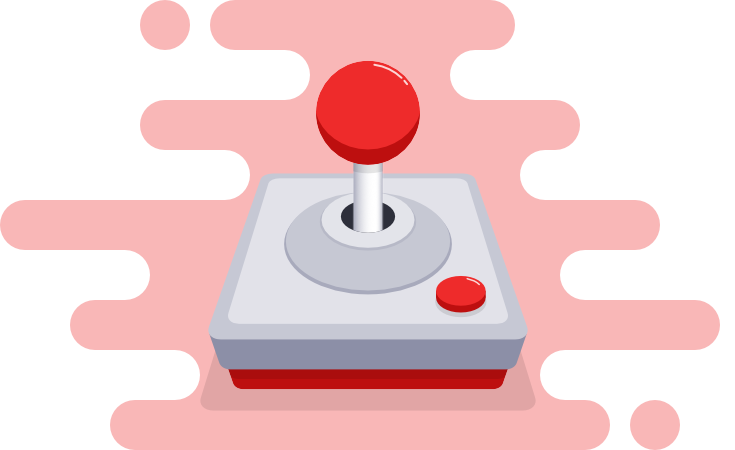 All button types are converted to regular buttons to allow configuration of any button, axis, or hat switch to simulate any type of keyboard or mouse control. 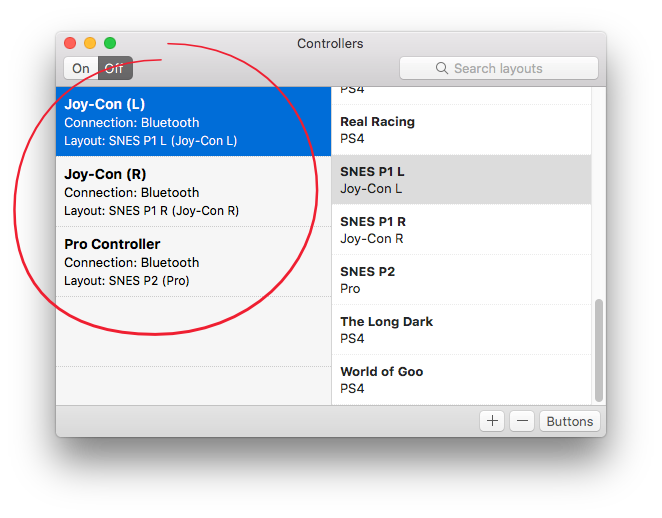 Multiple controllers can even be used at the same time. Perfect for two player games that use opposite sides of the keyboard or for controllers such as the Nintendo Switch Joy-Cons that use a left and right controller for each hand. 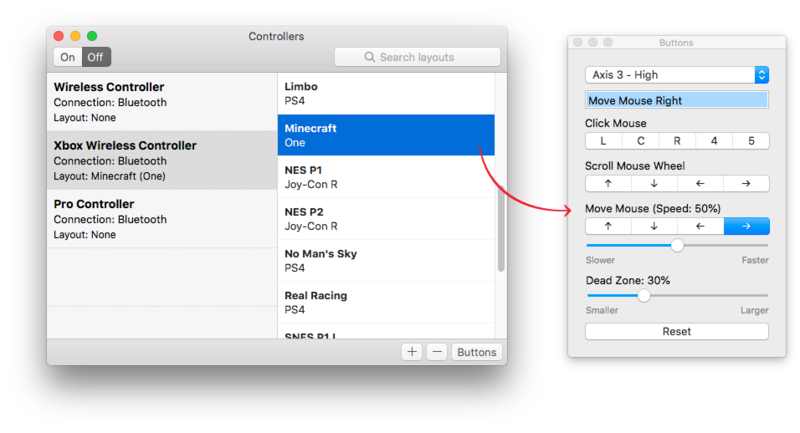 Just press the button on your game controller, and then press a button on your keyboard or select one of the available mouse actions. No need to use special mouse locking options or switch into different mouse modes like other apps make you do. You can set up a base layout with common controls and duplicate that layout to use as a starting point for new layouts. You can also easily find the layout you are looking for with the layout sorting and search features.